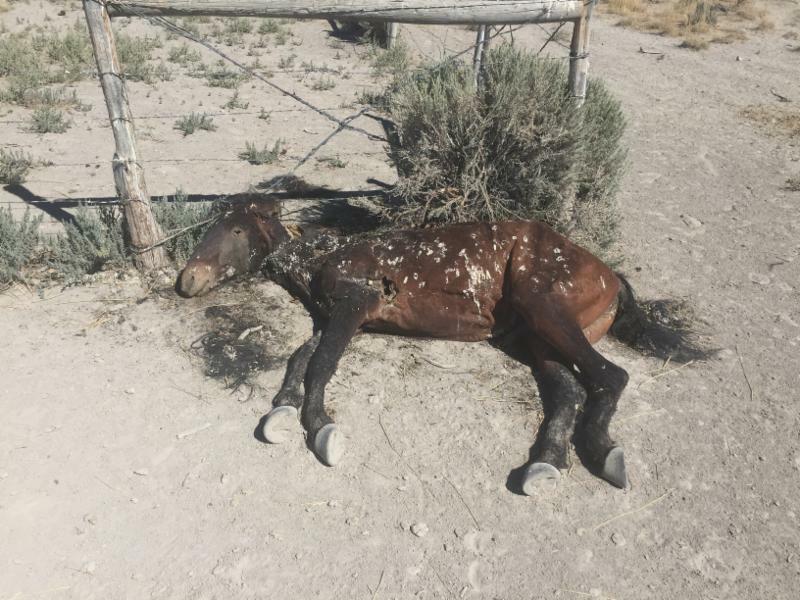 Home > Horse News > Investigations > Recipient Mares: Breeding Blood Sport? 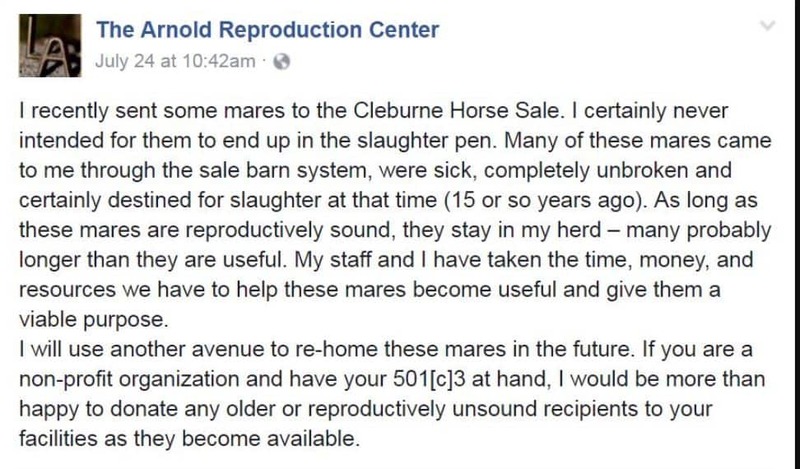 Dr. Leea Arnold of The Arnold Reproduction Center sent her recipient mares to auction and more than 20 ended up in the kill pen. Do you know where your vet's recipient mares go when they're no longer useful to the business? Recipient Mares: Breeding Blood Sport? 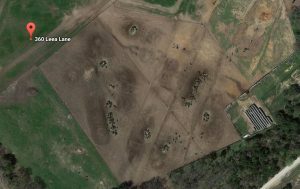 At least 21 recipient mares, formerly owned by The Arnold Reproduction Center, landed in a Forney kill pen late last month. 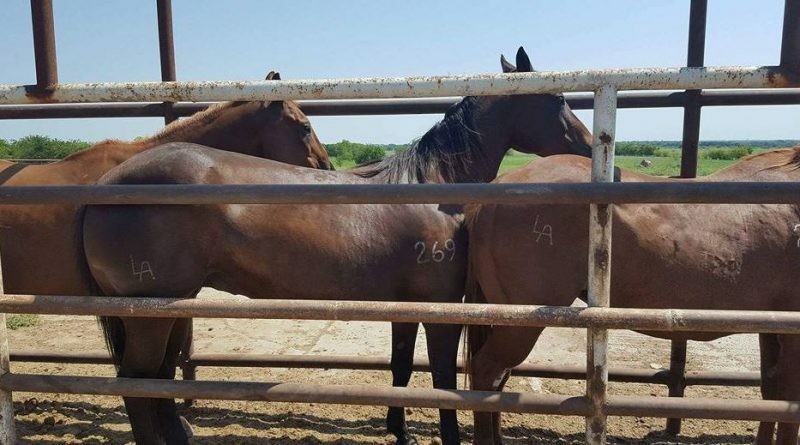 The ‘LA’ brand on the mares’ haunches identifies the business, and its owner, as Leea Arnold, DVM, a Texas equine veterinarian. Days prior, Dr. Arnold sent 40 former recipient mares to auction in Cleburne. They sold for an average price of just over $450. 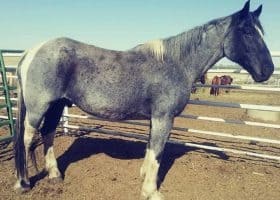 “She is getting rich off the blood of horses,” says Mount Pleasant horse owner Michelle McCarley, who tried to save the almost two dozen recipient mares from shipping to slaughter. 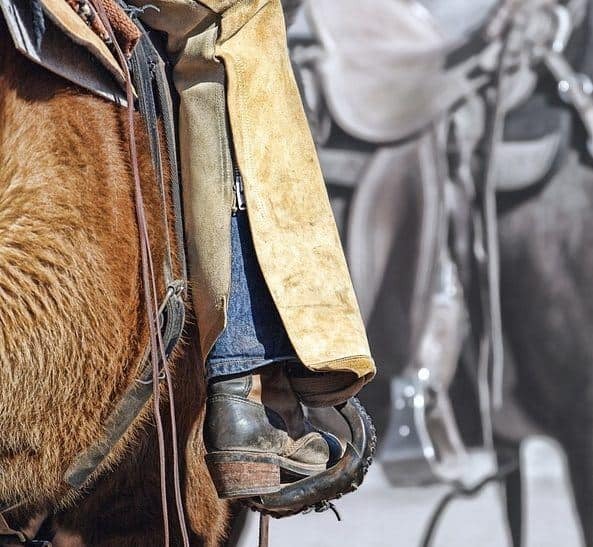 Dr. Arnold’s Weatherford-based business offers embryo transfer (ET) and additional reproductive services, primarily for the western performance horse sports, including cutting horses. 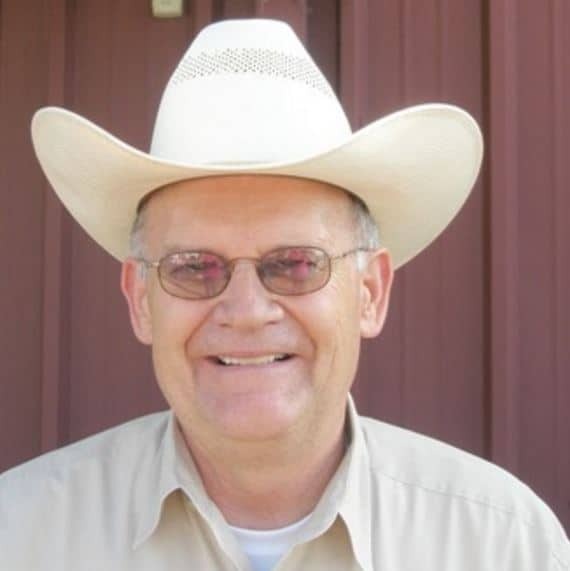 Dr. Arnold has stated that The Arnold Reproduction Center maintains a herd of 650 recipient mares. McCarley called Dr. Arnold when she learned the mares were in danger of shipping to slaughter. 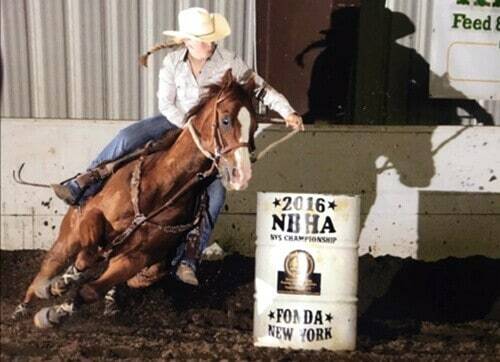 The vet told her which mares were rideable, that three were registered with the American Quarter Horse Association (AQHA), and one didn’t have a brand. 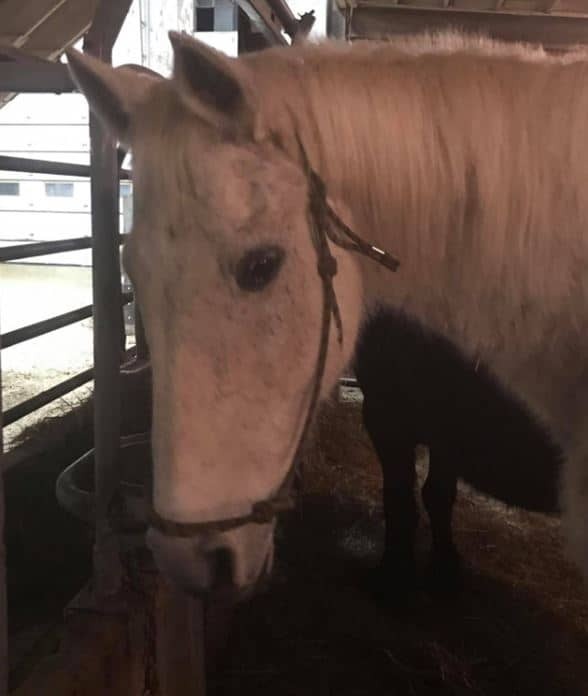 Part of McCarley’s call was to let Dr. Arnold know she would get her a list of rescues so the recipient mares don’t land in the kill pen again. McCarley says Dr. Arnold got “sideways” during their second conversation. 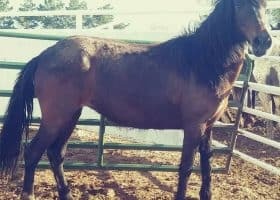 She asked the vet if she would help save the mares from shipping to slaughter by utilizing the money she got from selling the original 40 mares. A social media mêlée ensued as the kill pen pushed for bail funds and the timeline on the mares’ lives grew shorter. Word spread online like wildfire about Dr. Arnold’s ‘retirement method’ for her recipient mares. 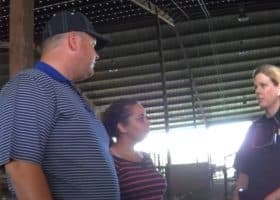 On Sunday, July 24, a statement on The Arnold Reproduction Center Facebook page read in part, “I recently sent some mares to the Cleburne Horse Sale. I certainly never intended for them to end up in the slaughter pen… I will use another avenue to re-home these mares in the future…” She cited utilizing horse rescues specifically in her post. Dr. Arnold’s supporters spoke-up in her defense and included, Amanda McNabb, DVM, of Washington. “Thanks for your hard work, Dr. Arnold. 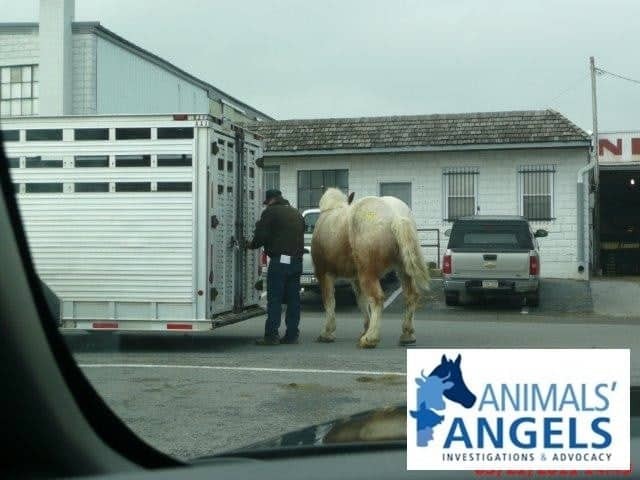 Hopefully, the angry people out there who don’t understand the realities will offer homes for the horses instead of attacks on the people who work with the horses,” Dr. McNabb posted on The Arnold Company Facebook page. The majority of the Arnold recipient mares shipped to Mexico for slaughter, according to the kill pen owner. 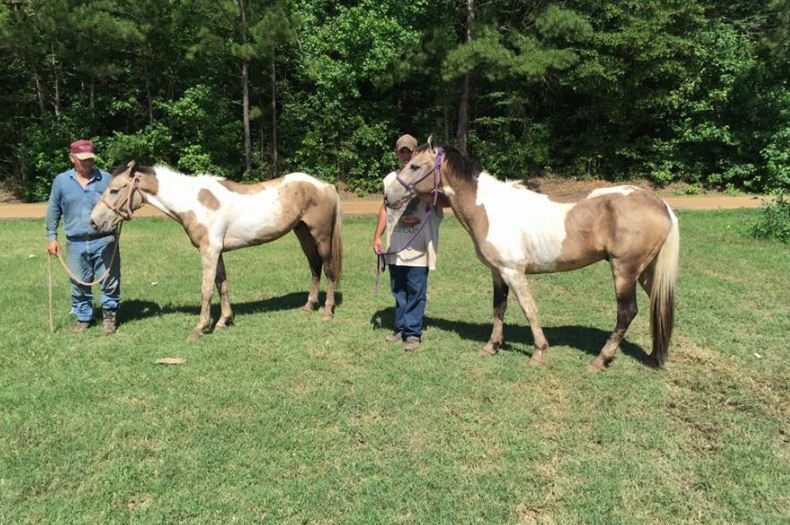 Although McCarley wasn’t able to save them all, she personally saved three mares who are now living at her farm. “They are all so sweet, and appear to all be broke to ride,” McCarley says. She admits she doesn’t know to what extent. 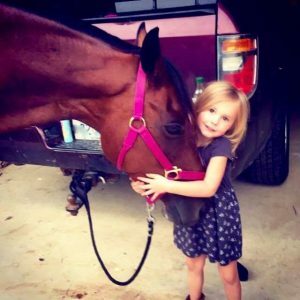 Katelan Burkley’s daughter with their new mare. To date, we have found a total of five Arnold recipient mares that were saved from the kill pen. Burkley leads her 4-year-old daughter around the barrels on the recipient mare she saved from the kill pen. AQHA makes money from new horse registrations, which is big business. And embryo transfer affords owners the opportunity to register multiple foals by a mare in a given year. 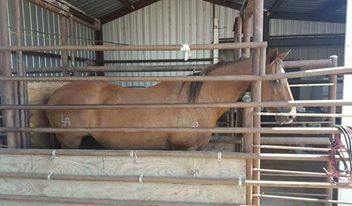 An Arnold Recipient mare awaits her fate in the kill pen before shipping to slaughter. The USDA states 92% of horses sent to slaughter are in good condition. 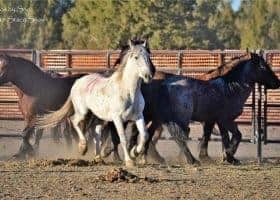 And 51% of the approximately 150,000 U.S. horses being shipped across the border to Mexico or Canada for slaughter are known as ‘America’s Horse’ – or the American Quarter Horse. The American Veterinary Medical Association Guidelines for Euthanasia states gunshot and penetrating captive bolt are considered acceptable methods of euthanasia for equines, but only with conditions. The guidelines state the horse’s head must be restrained or still when the captive bolt is applied. Additionally, a highly skilled individual must administer the blow. Congressional testimony reveals Mexican slaughterhouses are unable to meet the AVMA’s recommendations. “…in Mexico the captive-bolt gun is often passed over in preference to the ‘Puntilla’ knife which is used to stab the horse in the spinal cord to the point of paralysis before the animal is strung up and quartered, often while still alive,” according to Liz Ross, federal policy advisor to the Animal Welfare Institute. Pentobarbital or a pentobarbital combination is the principal equine euthanasia method listed by the AVMA Guidelines. 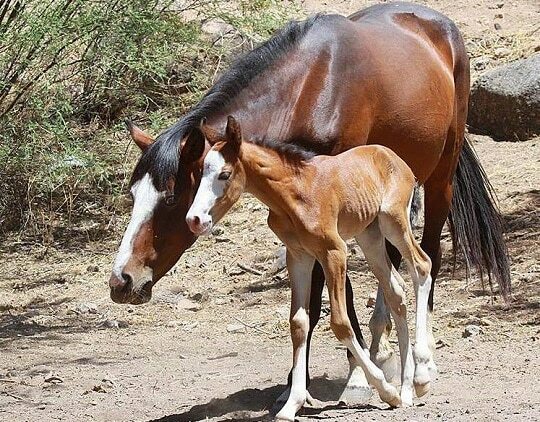 We asked other equine reproductive facilities if they have found a sustainable balance between profit, horse welfare, and ethics when it comes to utilizing a recipient mare herd as a business tool. The majority weren’t interested in speaking on the record to share their methods, due to the stain associated with the topic. Some give away their recipient mares to customers as the mares’ usefulness wanes. Based in Oklahoma, Equine-Reproduction.com owner Kathy St. Martin spoke openly saying, “I appreciate the dilemma”. 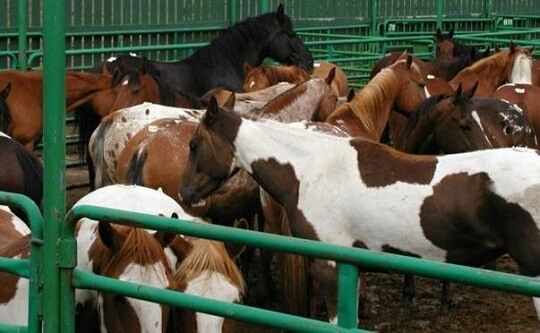 St. Martin’s business doesn’t utilize a recipient mare herd due to the cost, but says many centers pull from auctions. “We love our mares and won’t rehome,” St. Martin adds. “I guess some don’t have that emotional investment”. Past recipient mares reside on her farm with the other mares. St. Martin says 5-years ago she brought in three recipient mares for a customer, but they never ended up using them. “The mares are still here and have aged out”. St. Martin says a bullet from a gun is far kinder than the alternative of shipping them off to an unknown fate. “I wouldn’t be able to sleep at night”. We attempted to ask Dr. Arnold if she would consider an alternative business plan in the future for all of her recipient mares, rather than the auction pipeline, but she wouldn’t accept our call. Her office referred us to her Fort Worth attorney, Lewis T. Stevens. When asked why his client took the recipient mares to auction, despite the potential for them to end up in a bad position, Stevens replied frankly, “that’s where you sell them”. 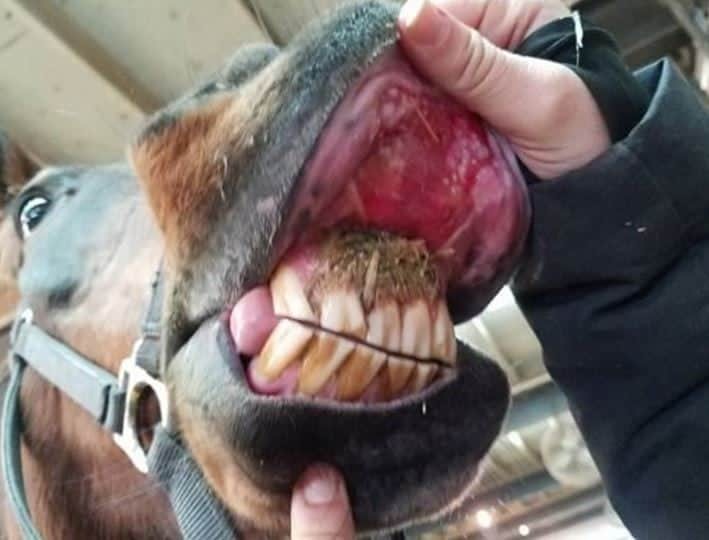 Continuing our correspondence with Dr. Arnold’s attorney via email, we asked why horse rescues should be tasked to take care of a business’s horses once they are used up? 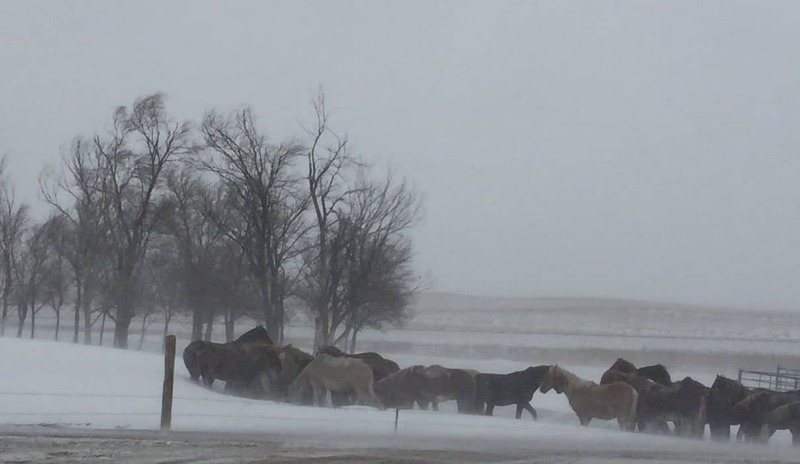 By and large, legitimate horse rescues are vying for limited dollars. 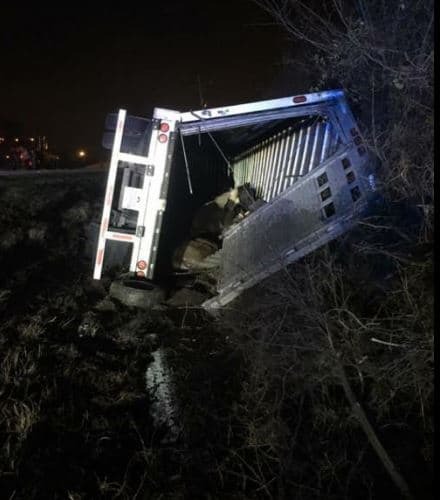 “The horse rescues should not be asked to care of all of the horses, but to the extent, an organization would benefit from a donation, that could be done,” Stevens said in the email. 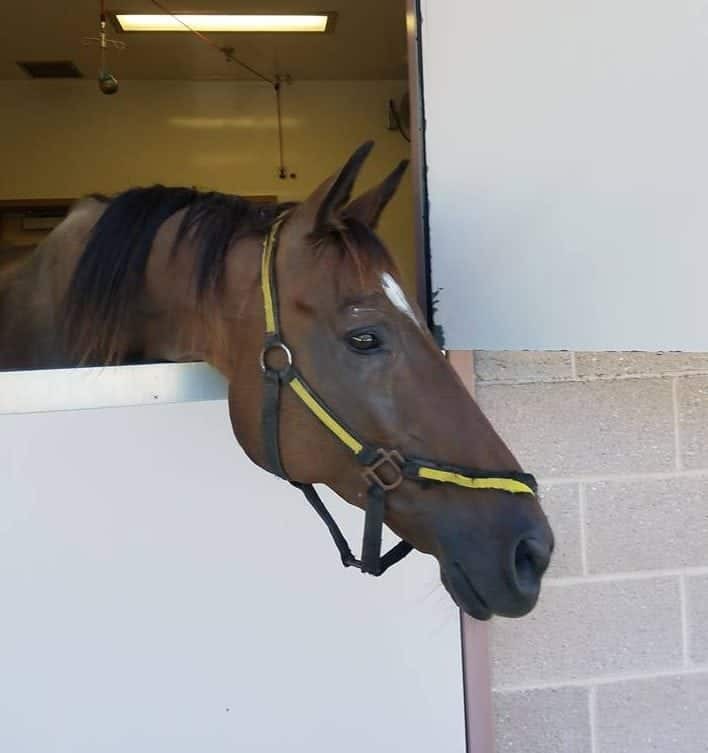 Days ago, Dr. Arnold retired two recipient mares with Bluebonnet Equine Humane Society. And the vet is offering a retired recipient mare for adoption on her Facebook page. “We’re in the horse industry and we try to be practical,” St. Martin says. “We understand there are worst fates than death. We have an ethical responsibility to make their end of life quick and humane”. Horse Tendons Latest Anti-Aging Secret?